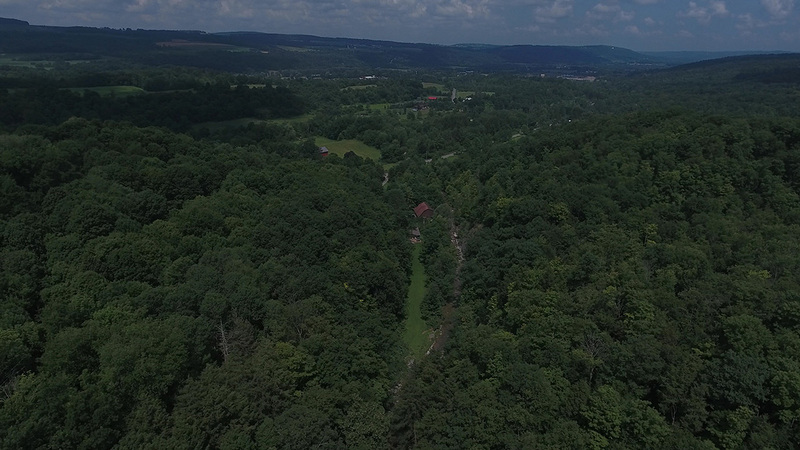 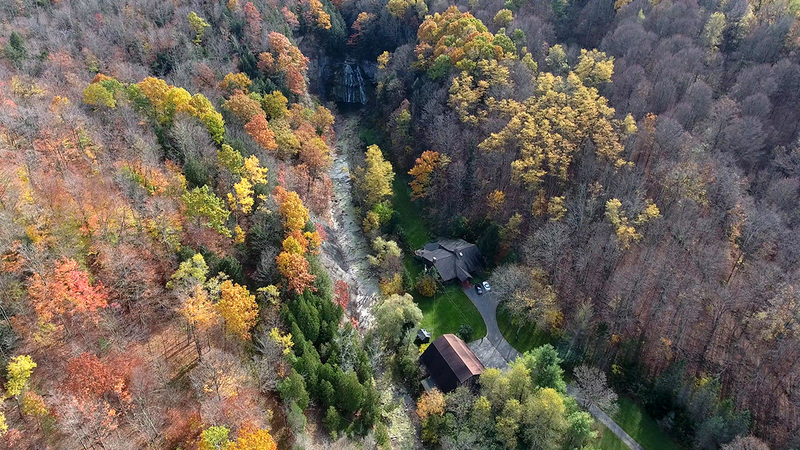 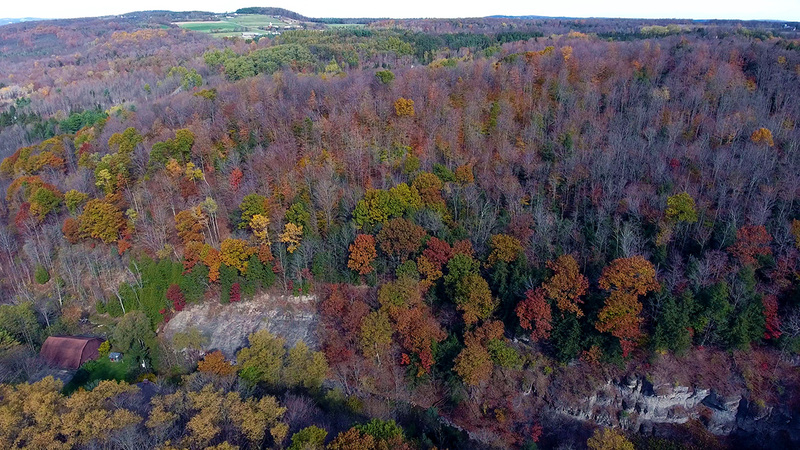 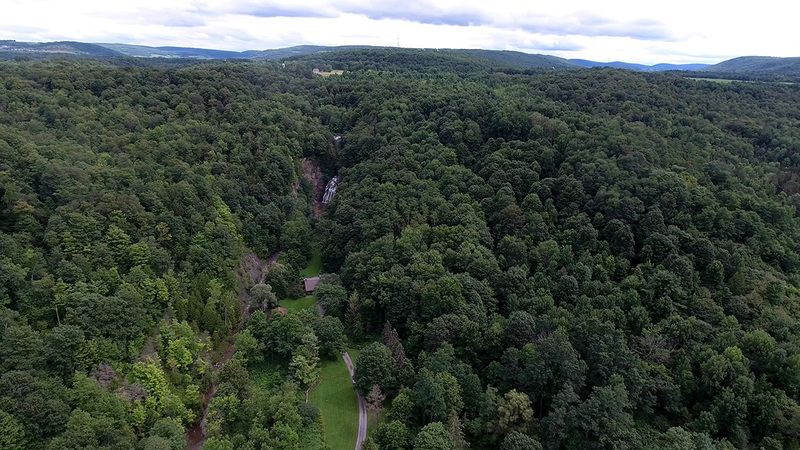 66 acres with 65' and 52' waterfalls more than 1 mile of creek frontage. 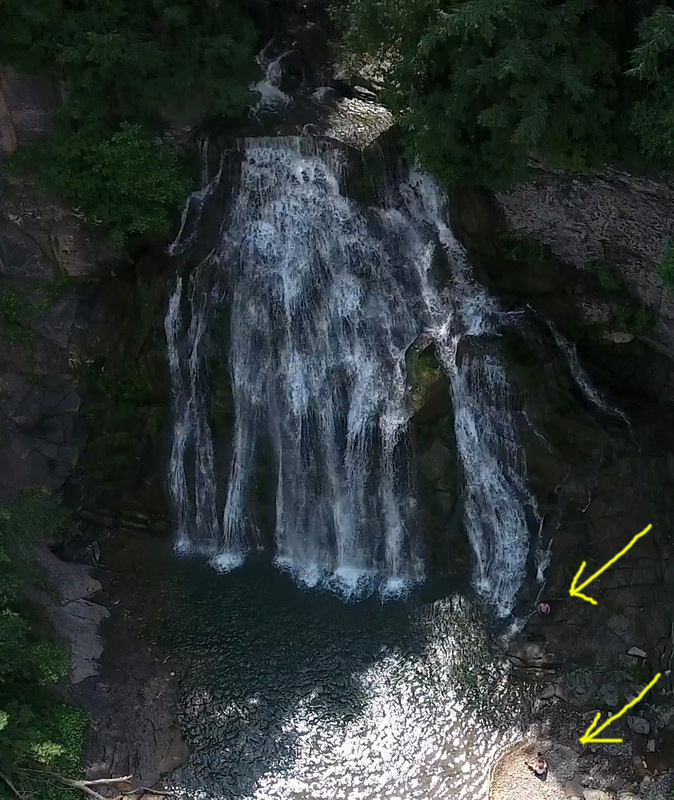 For scale note the two people in this photo as designated lower right with yellow arrows. 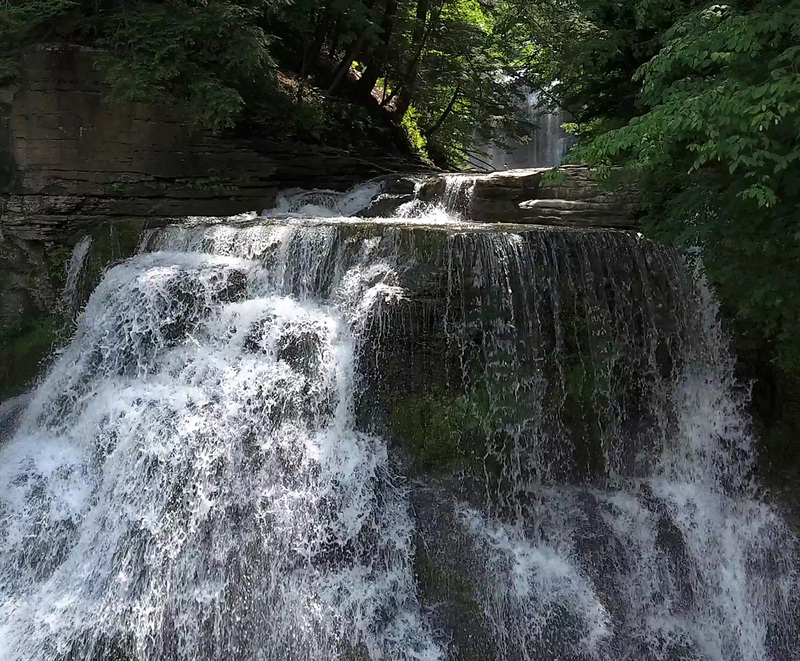 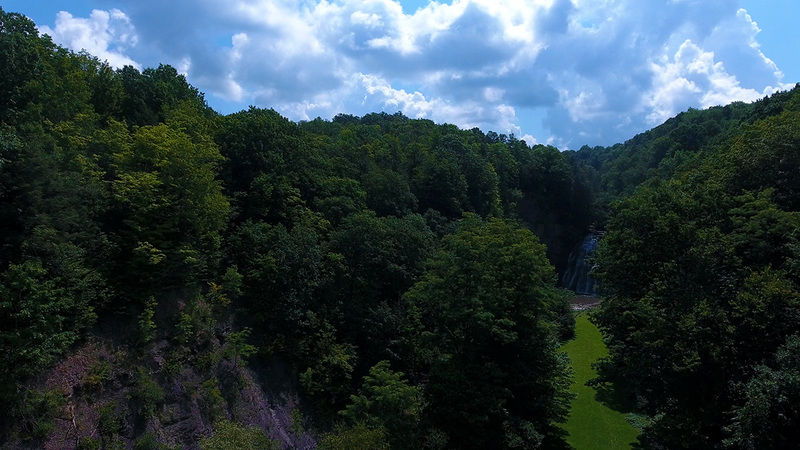 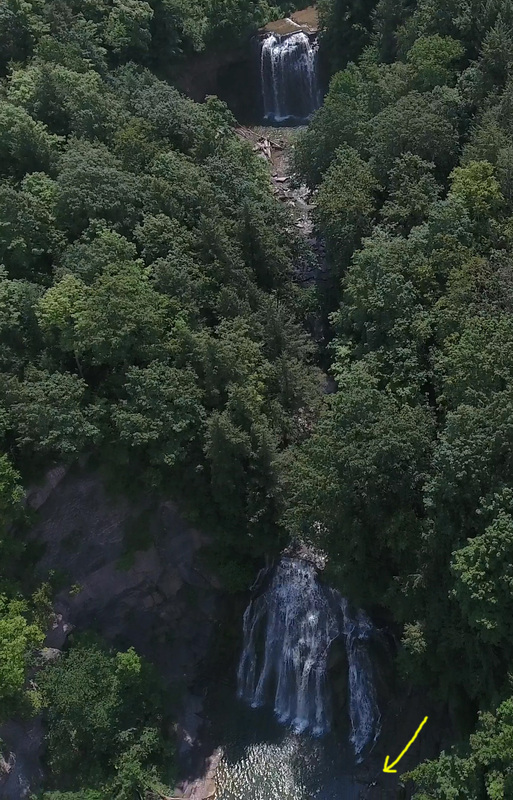 This waterfall is 65 feet high. 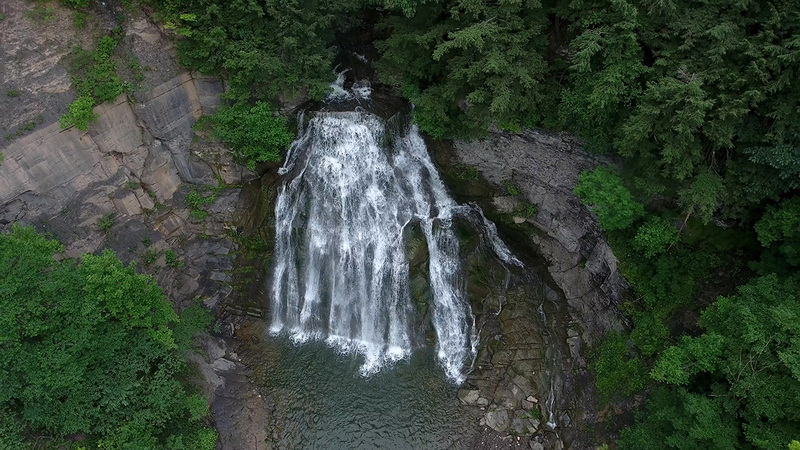 The upper falls is 52 feet high. 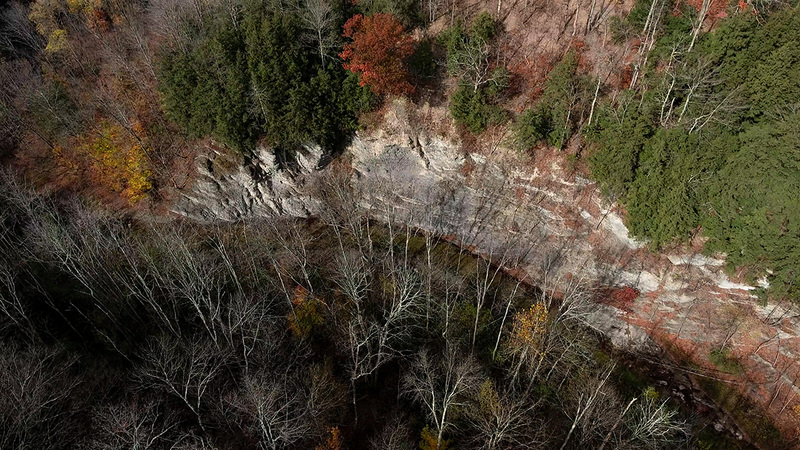 For scale see person in lower rigth of photo. 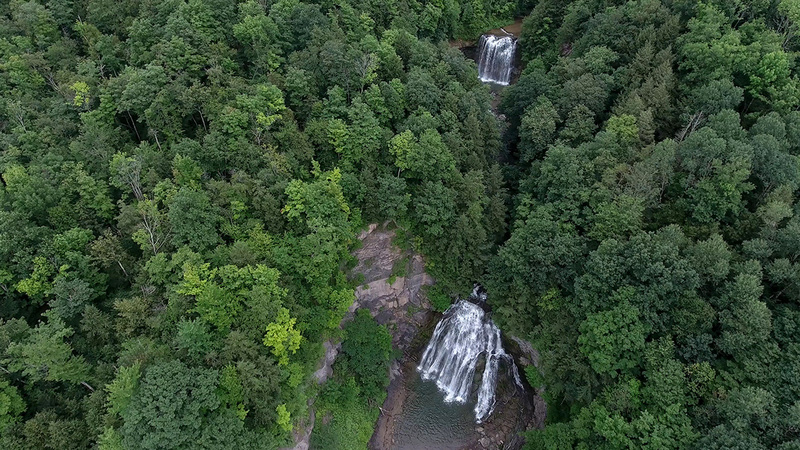 You can see the upper falls from this vantage looking thru the trees at top. 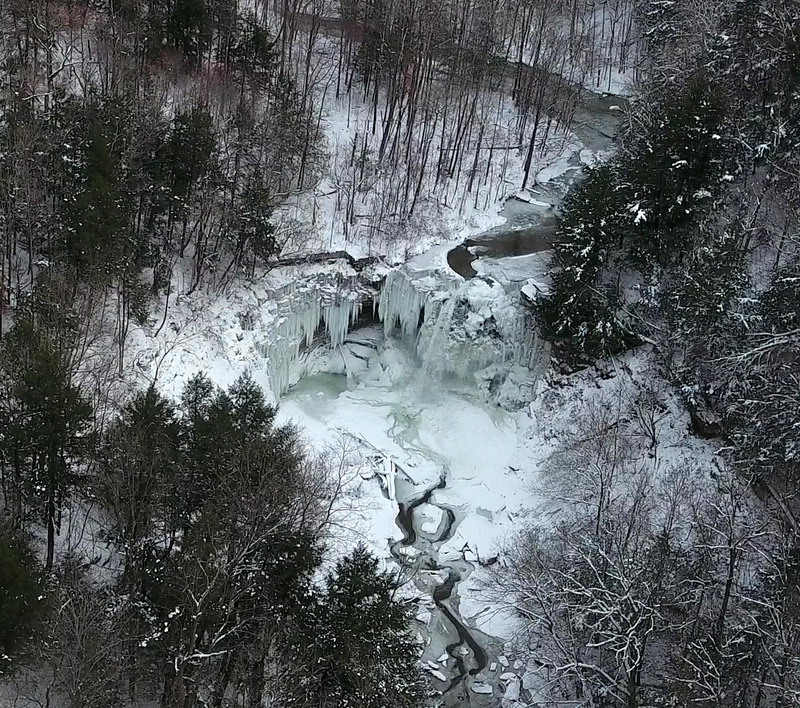 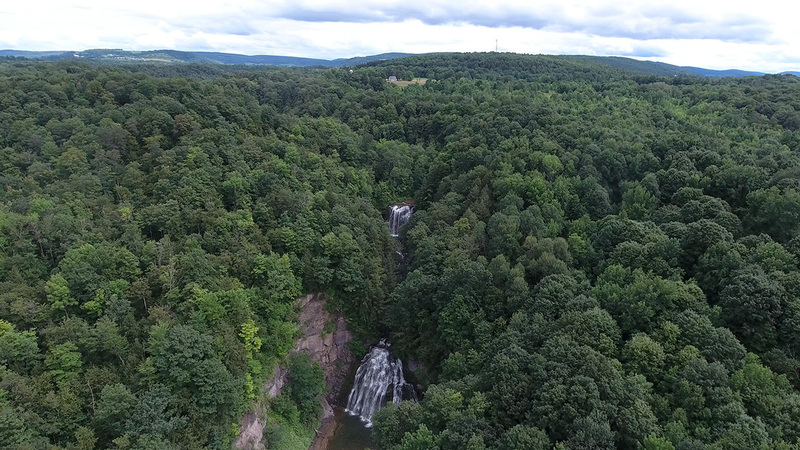 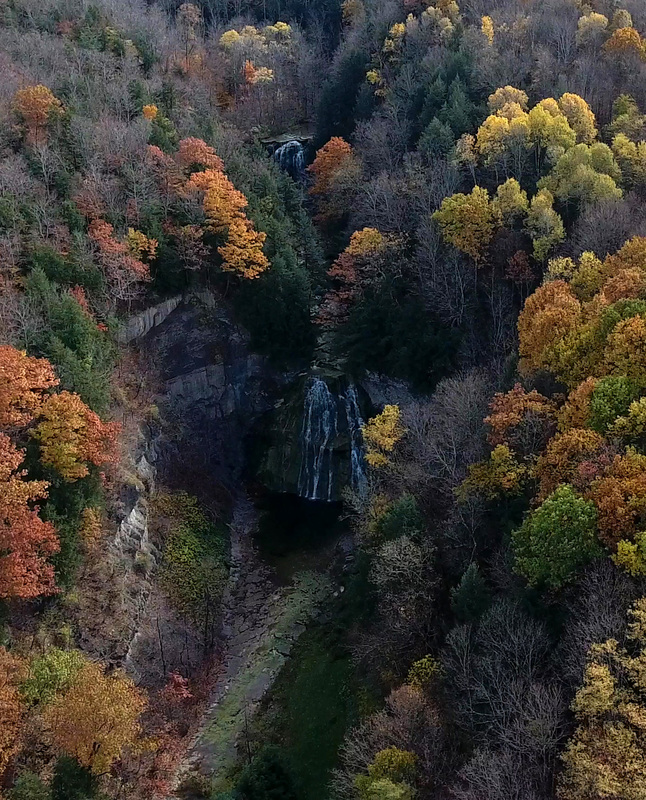 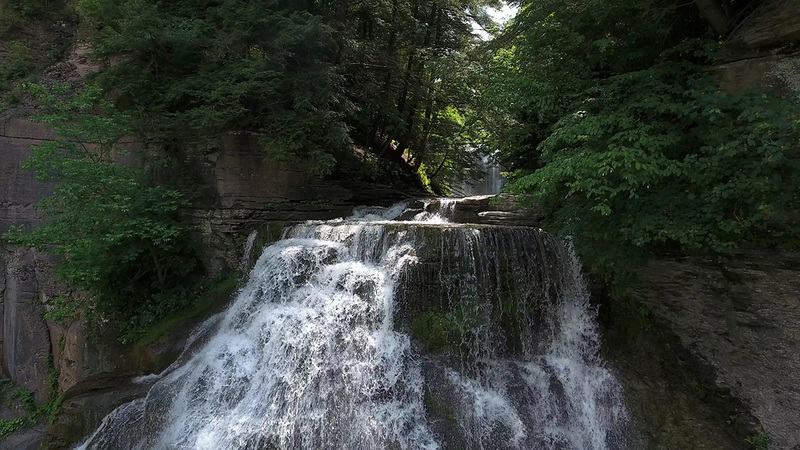 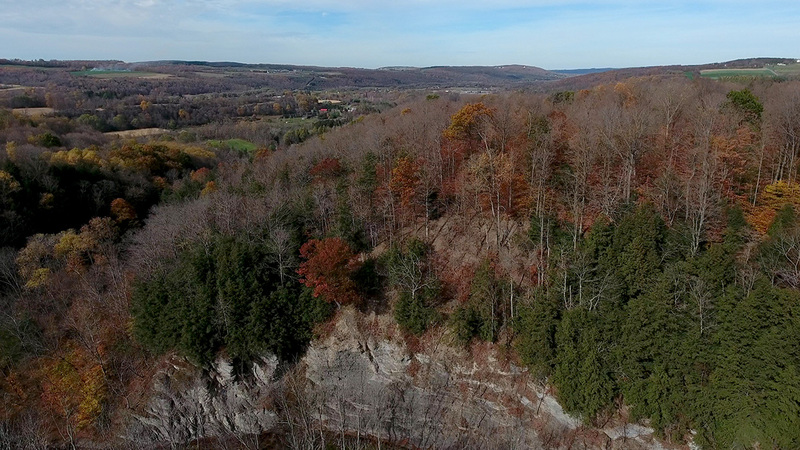 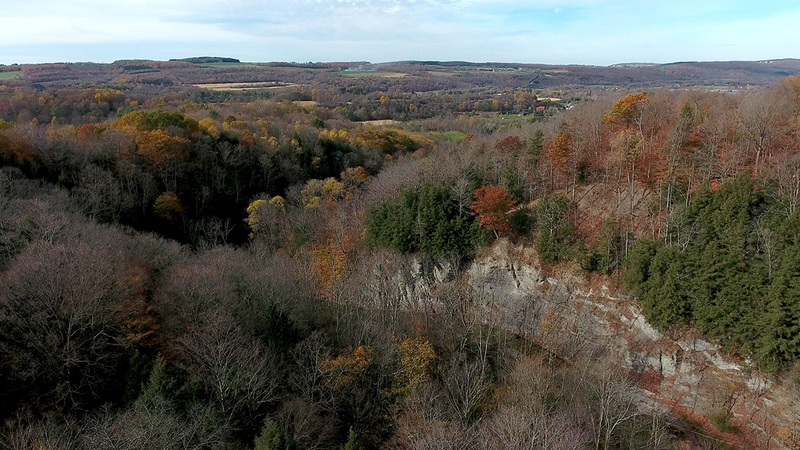 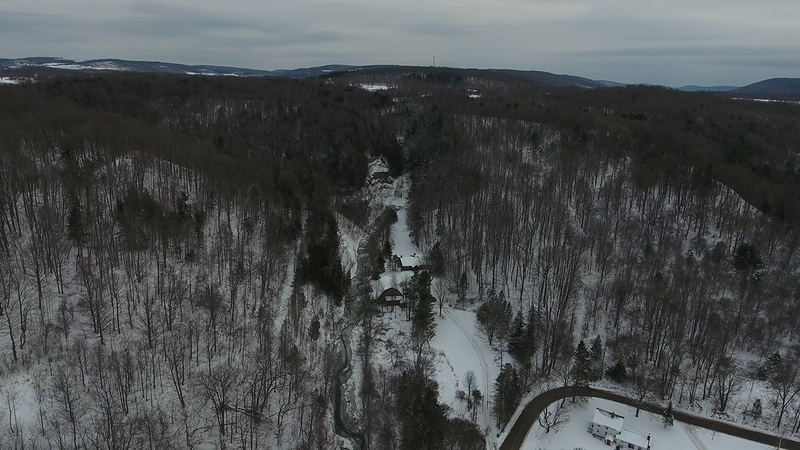 See 5 minute drone fly-over of Delphi Falls, NY 12-15-2017. 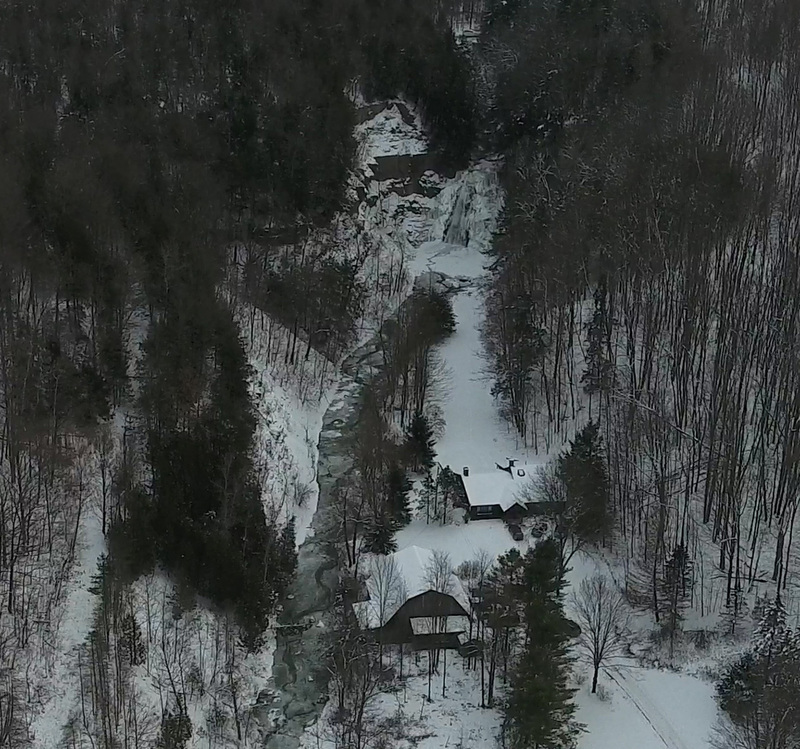 12-15-2017 House, barn and lower falls at Delphi Falls. 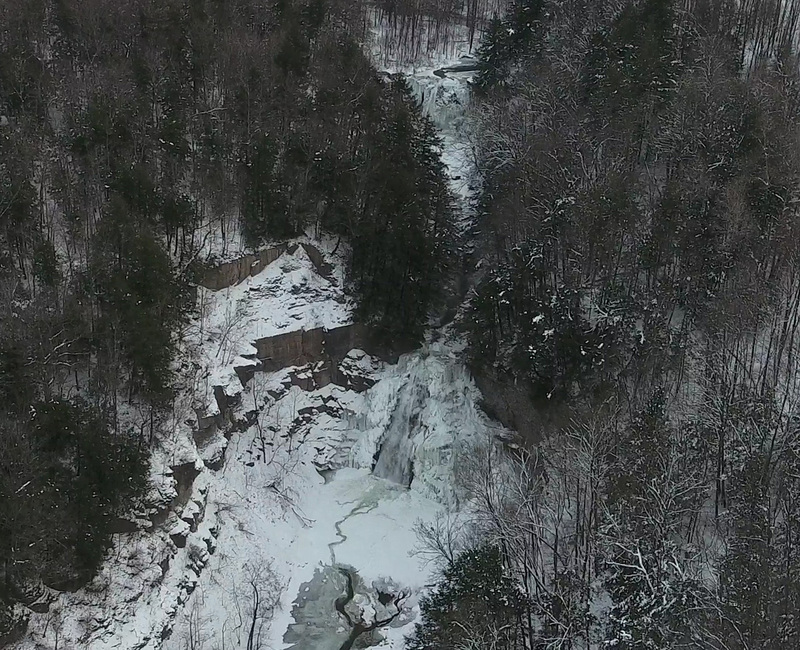 12-15-2017 Lower falls at Delphi Falls, NY. 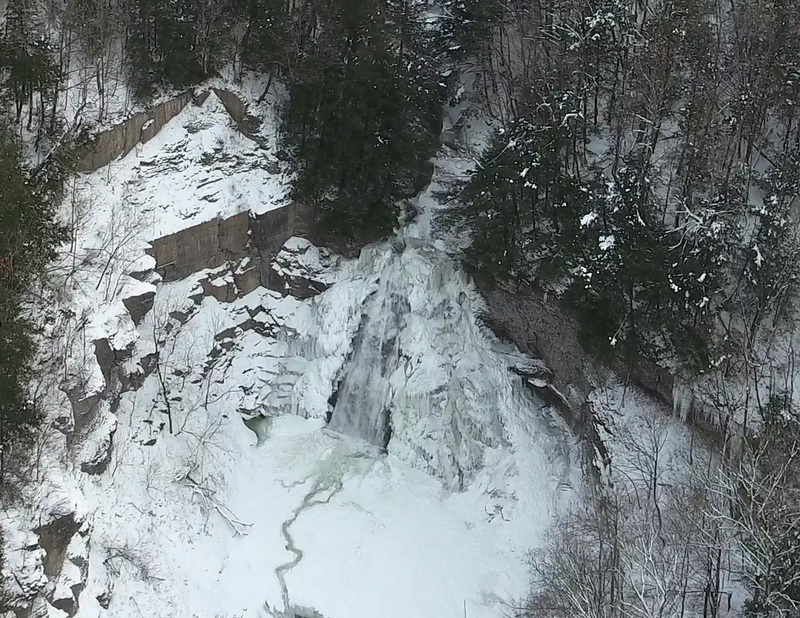 12-15-2017 Upper falls at Delphi Falls, NY. 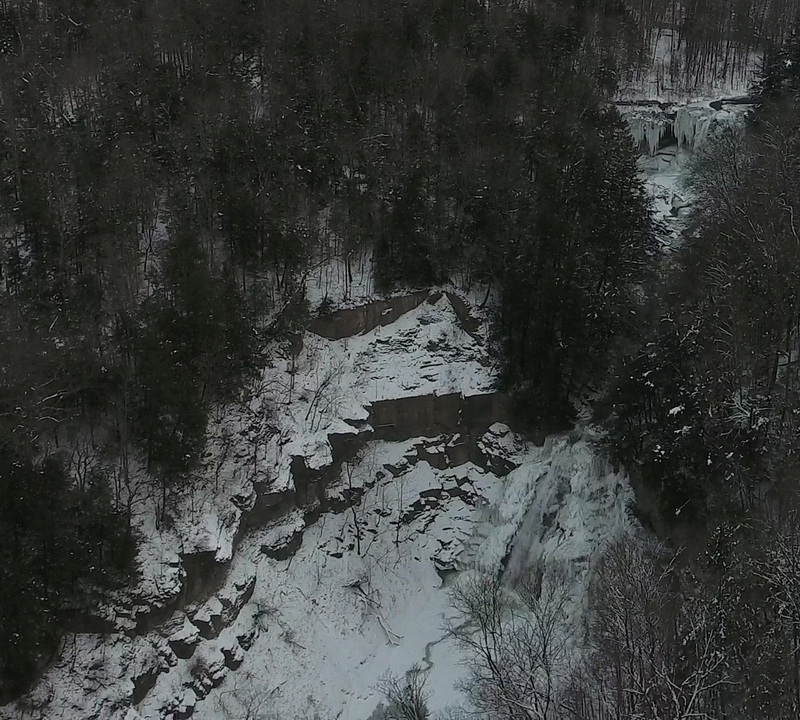 12-15-2017 Lower and Upper falls at Delphi Falls, NY.